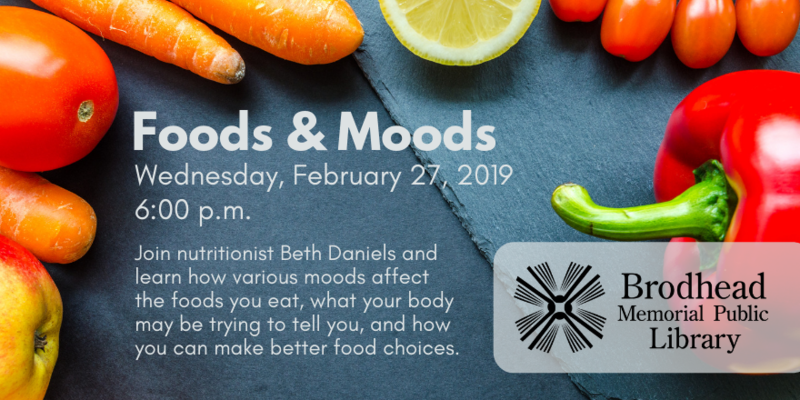 Join nutritionist, Beth Daniels, and learn how various moods affect the foods you eat, what your body may be trying to tell you, and how you can make better food choices. Experiencing different moods can affect what foods you tend to gravitate towards. Beth will help us understand the choices we are drawn to, why, and better choices that will better meet the needs or wants of our mouths and bodies. Beth will also discuss tips for helping people get back in touch with their bodies and relearning the language of your bodies. Come learn how to reconnect with your body and the messages it sends you every day.